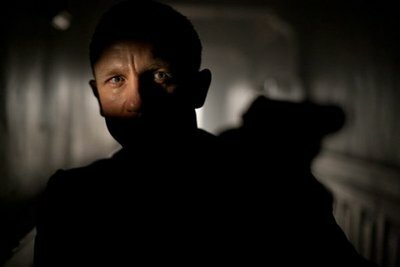 In Skyfall, James Bond 007 (Daniel Craig) is in daring pursuit of someone that we quickly learn is in possession of the identities of all the MI6 agents currently in the field. 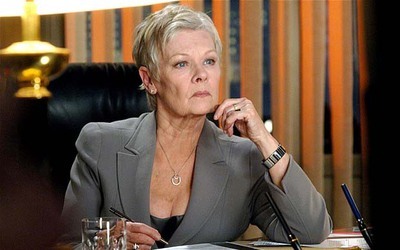 Bond's fearless leader M (Judi Dench) is also under personal attack from this someone whom she suspects is an ex-agent. This as-yet faceless villain is responsible for hacking into the mainframe, destroying MI6 headquarters in London and is now systematically releasing top secret information on the internet. Bond's pursuit for a man whose cunning nature surpasses even that of M takes him to Shanghai where he finds the culprit: ex-MI6 agent Silva (Javier Bardem, No Country For Old Men ). Silva has a hidden-but-brilliant agenda that involves a personal vendetta on M, and Bond's loyalty to her becomes questionable. In his third inning as the Walther-sporting hero, Daniel Craig continues along the personal path to self-redemption in Skyfall but this time M is along for the ride. I was wondering when we might get to see Judi Dench get her hands dirty on loaded pistol. This only adds to the depth and the distinctly humanist focus on the Bond story since Craig's involvement. As a result, the plot does not deviate too much, going off on tangents to explain every sub-par character that would otherwise be subsidiary to the central story. Instead, there is a strong and consistent focus on only the key players that enhances the drama and amplifies the significance of the very satisfying and clever ending that I can only describe as having gone full circle. Daniel Craig is once again a strong screen presence, particularly in his smart tuxedos sipping martinis and bedding the attractive femme fatale who always becomes 'femme fatal' at the hands of her employer the morning after. Judi Dench is as always very resilient also and because this particular Bond outing focuses very much on her and her relationship with Bond, there are some great scenes they share together. It's like watching two buffalos go head-to-head and the audience is taking bets on who's going to win. Then enter Bardem as the villain, with his six-foot-high domineering stature, a deep Spartan-warrior-like voice and his bleached blonde waving hair that symbolises the extinction of his kind of agent. Mention must also be given to the welcomed company of Ralph Fiennes as a bureaucratic parliamentarian and Albert Finney as an old, reclusive gamekeeper. Under the consistently focused and defined direction of the Academy Award winning Sam Mendes (American Beauty , Road to Perdition ), the actors all have their time to shine and boy do they shine bright. There is the perfect balance of drama, adventure, thriller and especially action, with some fine-tuned set-pieces and breathtakingly realistic chases that put the Bourne series to shame, all dazzlingly captured by Academy Award winning cinematographer Roger Deakins. With a runtime of two-and-a-half hours, it may seem a little long-winded to audiences who are not perhaps easily engaged in the Bond films - particularly in the first act - but nothing is left to chance. Watching it play out, you get the sense that a lot of time, money, work and preparation has gone into making this an adventure to remember. The underlying theme of 'past meeting present' bleeds through and lends a strange, dark edge to the material. Skyfall is perhaps the best of the Daniel Craig-era Bond films and will be a tough one to beat. All the key players have raised the standard for their respective characters and Mendes handles the narrative in an intricate and attentive way. 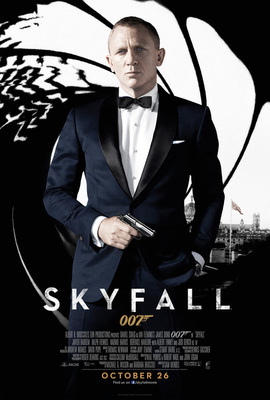 Skyfallis an engaging and entertainingly dapper thrill ride of intense proportions where things get very personal. NB: the very clever tributes to the origins of the franchise should be mentioned also, but not identified as I do not wish to spoil anything for a very keen and widespread audience.